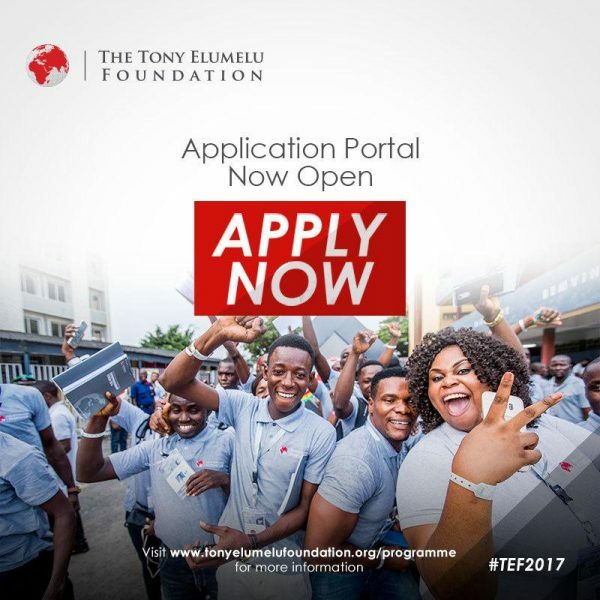 The Tony Elumelu Foundation Entrepreneurship Programme is focused on supporting entrepreneurship in African countries by improving the competitiveness of the private sector. The Tony Elumelu foundation creates impact through business leadership and entrepreneurship development programmes, impact investments, research and policy advocacy. Over 2,000 entrepreneurs have already benefitted from the programme in the past two years, and applications for the 2017 cohort of TEEP have now opened, with a further 1,000 entrepreneurs to be selected. a legal resident or citizen of an African country. Do you have a business idea that can transform Africa? Do you need funding for this idea? Now is your time to transform Africa with your idea. Apply to receive funding from #TEF2017 here. Selection is made on a rolling basis so early application is advised.